On his blog, Ken Gilmore has made another attempt to defend his Iron Age, faith-based Christadelphian family religion against modern science. This time it's a critical "review" of the book "A Universe From Nothing" by eminent American theoretical physicist Lawrence Krauss. Click here to read Ken's article on his blog. Ken has cut and pasted his article (with the source referenced) from a previous review that was written in 2012 by philosopher and physicist David Albert. It was published in the Sunday Times in the UK. "He doesn't understand it; hasn't read it. Neither did Albert." The short answer to Ken is that Lawrence is NOT attempting to prove the impossibility of believing in God, (which logically is not possible) but rather he is explaining the theoretical scientific basis that gives us the possibility to not believe in God. - That's all we need. We are left with a choice between two likely possibilities. The first is that natural laws propelled our universe into existence, following physical laws that are now largely understood by humans. The second is that our universe was created magically by invisible supernatural beings obeying a paranormal entity who enjoys the smell of burnt offerings and who, within a few hours of their creation, condemned Homo Sapiens to suffering, agony and eventual death because they ate the wrong kind of lunch. Using Occam's Razor as a heuristic, (the simplest explanation is the most likely) we Unbelievers choose the first explanation; while those like Ken, who grew up indoctrinated into a strict and secluded faith based family religion, are, (whether they like it or not) prejudiced into the second choice by dint of their upbringing. Professor Krauss proposes a theoretical basis in which a Universe like our own, with a sum total energy of zero, can spring into existence, inflate and then expand, from a quantum void by a natural mechanism. Yes that does presuppose the existence of quantum voids, or "empty space" but that requirement is justified by a proposed uniting of Quantum Mechanics and General relativity in which "space is forced into existence" to quote Lawrence's book. There is no empirical evidence that God created our Universe and no scientific theoretical scientific basis for that to happen. Unbelievers now have a scientific theoretical framework for a Universe that could be created by a non-divine mechanism. - We are home and dry! Professor Krauss's suggestion that relativistic quantum field vacuum states which were subject to the vagaries of quantum fluctuations, pre-existed our universe, is therefore no more outrageous than the God origin hypothesis of our universe. 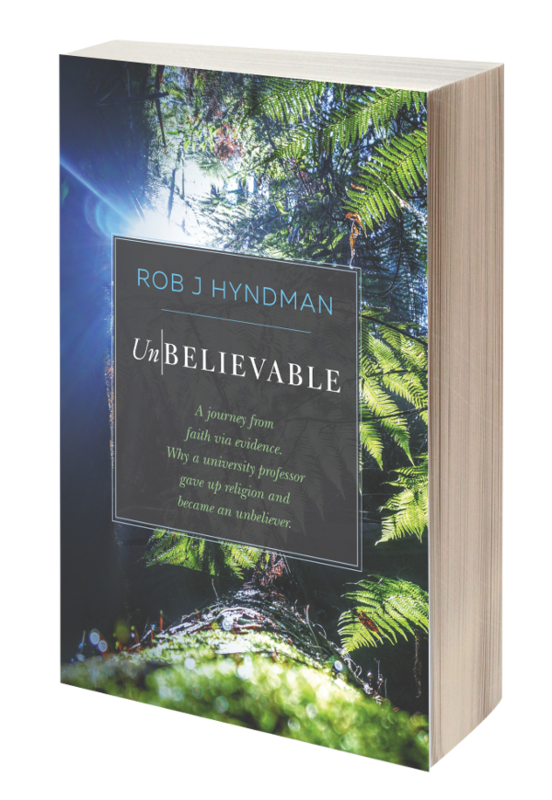 However the Unbeliever's hypothesis is more likely because it does not involve magic and paranormal activity. If that Biblical magic originated in the Seventh Century BCE and very closely resembles Chaldean creation myths (which it does) the Twenty First Century scientific explanation becomes an even more attractive proposition. "Does this prove that our universe arose from nothing? Of course not. But it does take us one step closer to the plausibility of such a scenario." Click here to buy the book "A Universe from Nothing" by Lawrence Krauss.